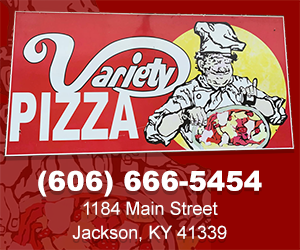 LEXINGTON, Ky. – Troy Squires knocked in four two-out runs and Zach Logue bounced back from a handful of rough starts with a terrific outing to push No. 4 Kentucky to a 7-4 victory over Georgia on a clear and cool night at Cliff Hagan Stadium. The Wildcats’ earned their 15th win in Southeastern Conference play, joining the 1996 and 2016 teams for the fourth most wins in league play in school history. They also moved to 21-4 at home and set up an opportunity on Sunday to win their seventh SEC series in eight weeks. Logue was dialed in from the start, not allowing a hit until Mitchell Webb’s solo home run in the fifth. The junior left-hander finished with a career-high 11 strikeouts in 6.2 innings, earning his sixth win of the season. Freshman lefty Zack Thompson came on in relief with two men on the seventh, shut down that rally and ended up striking out five of the seven batters he faced to earn his first career save. At the plate, the Cats used a four-run third inning to grab a lead and put Georgia on the defensive. The rally was capped when Squires hit a two-out line drive with the bases loaded that carried over the centerfielder’s head and cleared the bases. The junior catcher, who also had four RBI in a win at Old Dominion earlier this season, worked a tremendous at bat in the seventh and guided another two-out double just inside the LF line that provided the Cats with an important insurance run. 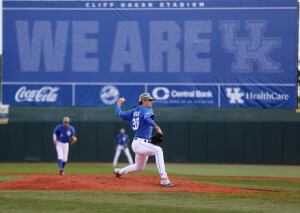 Justin Lewis will take the mound Sunday afternoon as UK tried to win its seventh conference series in eight weeks and remain in first place in both the division and overall league standings. Bot 3rd – Tristan Pompey singled through the right side and advanced to second base on a single from Evan White. Both runners advanced after a balk. Luke Becker walked, which loaded the bases. Pompey scored on a passed ball, and Riley Mahan walked to fill the bases again. Troy Squires doubled to center field, scoring all base runners. UK 4, UGA 0. Bot 4th – Marcus Carson singled to right field, stole second base, advanced to third base on sacrifice bunt from Connor Heady, and scored after Pompey hit into a fielder’s choice. UK 5, UGA 0. Top 5th – Mitchell Webb homered to left field. UK 5, UGA 1. Bot 5th – Mahan blasted a solo home run to right field. UK 6, UGA 1. Top 7th – Keegan McGovern led off with a double, and LJ Talley was walked. Tucker Maxwell homered to right center. UK 6, UGA 4. Bot 7th – Becker walked, stole second base, and advanced on an error by the second baseman. Squires doubled down the left-field line, scoring Becker from third. UK 7, UGA 4. Kentucky’s 15 Southeastern Conference wins tie the 2017 team with the 1996 and 2016 clubs for the fourth most in a single season in school history. Kentucky has gone 66 games without being shutout, the eighth-longest such streak in school history. Junior LHP Zach Logue earned his sixth win of the season with 6.2 IP, five hits, four runs, three walks and 11 strikeouts. o The 11 strikeouts set a new career-high, besting the nine he recorded against Missouri on April 15, 2017.
o He threw a career-high 111 pitches. Freshman LHP Zack Thompson pitched the final 2.1 innings, striking out five of seven batters he faced. o Thompson earned his first career save. Junior C Troy Squires went 2-for-4 with two doubles and four RBI. o The four RBI tied his career-high, previously set against Old Dominion on Feb. 25, 2017.
o It is his third multi-RBI game of 2017 and fifth career. o Squires now has six multi-hit games this season and eight for his career. Junior 1B Evan White went 2-for-5 with a run scored. o White now has 205 career hits, good for 15th on UK’s all-time career hit list. o White has a hit in 22 of his last 24 games. o White has 18 multi-hit games this season and 62 for his career. o He has reached base safely in 14 straight games. Junior IF Riley Mahan went 1-for-3 with a solo home run, two runs scored and a walk. o The home run was his team-leading ninth of the season and 15th of his career. Sophomore OF Tristan Pompey went 2-for-5 with a run and an RBI. o Pompey now has hit safely in 33 of his past 36 games. o He has reached base safely in 18 straight games. o He has 19 multi-hit games this season and 30 in his career. Senior IF Connor Heady recorded his 12th sacrifice of the season. o The 12 sacrifices tie him with Mike Brown for fourth on UK’s single-season chart. o Heady’s 18 career sacrifices rank 11th on UK’s career list. Kentucky will for another series victory on Sunday afternoon at The Cliff. First pitch is at 1 p.m. 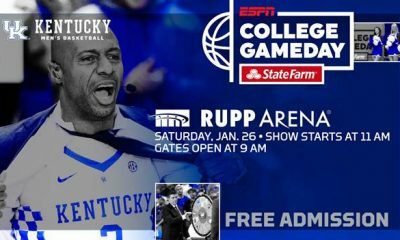 Fans can listen on the UK Sports Network via UKathletics.com and iHeart Radio, as well as on 630 AM WLAP, and watch on SECN+.